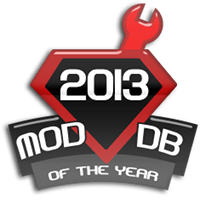 It is once again come around to the annual Mod of the Year Awards, and Forgotten Hope 2 has made it into the top 100 released mods again. We'd like to thank all our fans for voting for us once again. Go here if you'd like to vote for us in the second round. There are still two days left to vote. The R75 started life as an answer to a request from the Wehrmacht for a motorbike designed with the rigours of the battlefield in mind. It was powered by a 750cc engine that delivered enough power to get the R75 to 95 km/h. The sidecar was provided with a powered wheel and heating, and could mount a machinegun for defence. 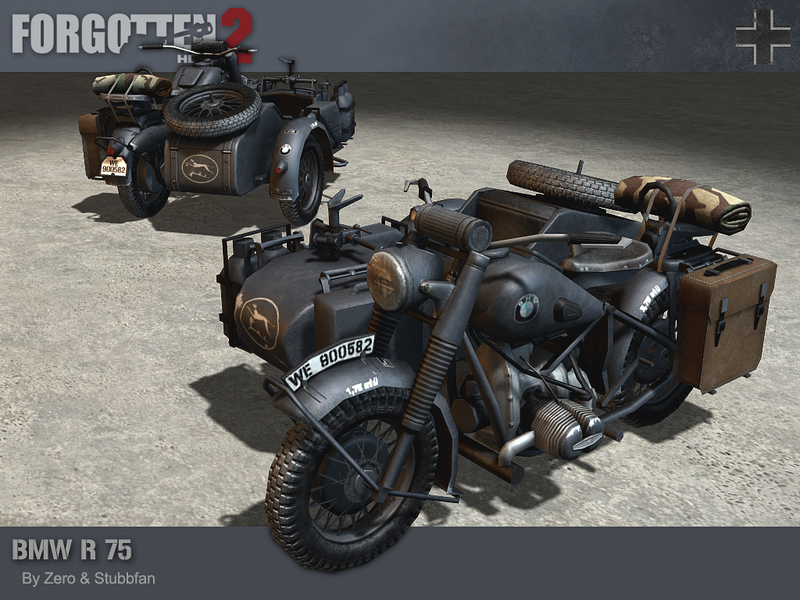 Production started in late 1940, and the R75 was soon in use on the Eastern Front and in North Africa. It was found to be particularly resilient to the desert, where the configuration of the engine meant that it was cooled more effectively and the shaft drive was less susceptible to dust than a chain. Despite this reliability the rival Zündapp KS 750 was found to be the better machine, and an agreement was reached that saw the two motorbikes share nearly 70% of their components, with the aim of phasing out the R75. This never quite happened, and the R75 remained in production through to the end of the war with 16510 delivered. Ours was made by Zero and Stubbfan. Our winners for this week's screenshot competition is Gore. You can view the winning submission here. We are now accepting entries for the week of December 16th. If you think you have the best FH2 screenshot, post them here.